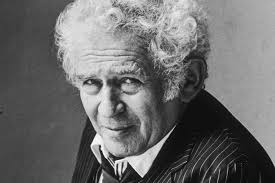 Norman Mailer (1923-2007) – maverick American author who experimented with creative literature, confessional writing, journalism, biography and non-fiction. A factoid is an item of information, which has gained by frequent repetition a fact-like status, even though it is actually erroneous. It may have been spawned by an outright invention or, more subtly, grown by an accretion of myth and repetition. So factoids are like lies or untruths, but they are not necessarily circulated as knowingly false. Instead these purported facts tend to be recycled again and again as non-controversial data that ‘everyone knows’. Thus factoids convey culturally-embedded information which people would like to be true or feel ought to be true. For that reason, these phoney-facts are hard to kill. And, even when slain, they may well rise and circulate again. Eighteenth-century English history, like most periods, has generated some notable factoids of its own. 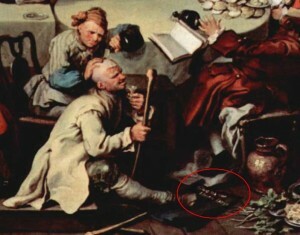 One features the so-called Calendar Riots of September 1752. They have been frequently cited by historians; and one or two experts have even supplied details of their location (for example, in Bristol). I might have mentioned them in print myself, since I used to believe in their historical reality. But I didn’t commit myself publicly. That’s just as well, since there were no riots. 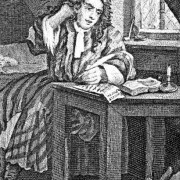 It’s true that there was some popular grumbling and discontent in and after September 1752, when the old, lagging Julian calendar (until then standard in England and Wales) was officially jettisoned in favour of catching up with the astronomically more accurate Gregorian calendar (already in use in Scotland and across continental Europe). The gap was eleven days. William Hogarth’s satirical Election Entertainment (1755) shows a captured placard against calendar reform, casually discarded underfoot. Another factoid features prominently in an oversimplified version of the history of English women before women’s liberation. It is an example which is fuelled by righteous indignation against men. Or rather, not against men individually, but against the traditional legal position of men vis à vis women. It takes the form of the bald assertion that husbands ‘owned’ their wives, under common law. 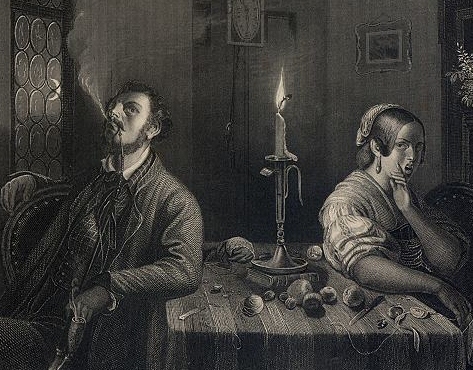 According to this factoid history, married women were considered as legally on a par with domestic ‘chattels’ or household goods; they were thus the property of their husbands; in effect, legally slaves. But not so. All the same, married women were not legally defined as property, capable of being bought and sold. Instead, after marriage, the legal identity of a woman (with the exception of a Queen reigning in her own right) was merged with that of her husband. Under the common law of ‘couverture’, they were one person. It was a legal fiction, which meant that a husband could not sue or be sued by his wife (though they still had to behave lawfully to one another). The law of ‘couverture’ also meant that they shared their assets and debts, unless they had some separate pre-nuptial agreement (as a considerable number of women did). Both partners, in theory at least, gained a helpmeet and the social status that came with matrimony. 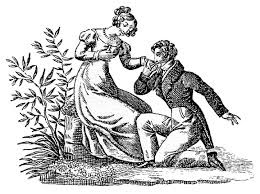 Regency print of The Proposal. Needless to say, in practice there were plenty of provisos. Personalities always affected the de facto balance of power within a marriage. Friends, families and servants could keep an unofficial lookout to ward against unacceptable individual behaviour. 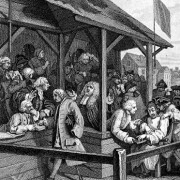 Some women also had separate pre-nuptial financial arrangements, leaving them in charge of their own money.5 And a number of married businesswomen traded in their own right, if necessary going to the equity Court of Chancery to provide a way round the rigidities of common law.6 The doctrine of matrimonial unity was potent but remained a legal fiction not a universal fact. Given this inequity at the heart of marriage according to traditional common law, there was a very good case for the legal liberation of married women, which happened piecemeal in the course of the nineteenth century.8 But the case didn’t and doesn’t need the support of a clunking factoid. Married women were not disposable property. Their plight was compared with that of slaves by some feminist reformers. That’s more or less understandable as campaign rhetoric, even if it significantly underplays the sufferings of slaves. But the factoid should not be mistaken for fact. Real reforms are made more difficult if the target is misrepresented. Let’s keep an eye out for pseudo-history and reject it whenever possible.9 We don’t want to fetishise ‘facts and facts alone’ since much knowledge depends upon evaluating ideas/theories/experience/analysis/assumptions/intuitions/propositions/opinions/ debates/probabilities/possibilities and all the evidence which lies between certainty and uncertainty.10 Yet, given all those complexities, we don’t need factoids muddying the water as well. 1 N. Mailer, Marilyn: A Biography (New York, 1973). The term is sometimes also used, chiefly in the USA, to refer to a trivial fact or ‘factlet’: see en.wikipedia.org/wiki/Factoid. 2 Historian Robert Poole provides an admirable analysis in R. Poole, Time’s Alteration: Calendar Reform in Early Modern England (1998), esp. pp. 1-18, 159-78; and idem, ‘“Give Us our Eleven Days!” Calendar Reform in Eighteenth-Century England’, Past & Present, 149 (1995), pp. 95-139. 3 See variously E.P. Thompson, ‘The Moral Economy of the English Crowds’, in his Customs in Common (1991), pp. 185-258, and ‘The Moral Economy Reviewed’, in ibid., pp. 259-351; J. Stevenson, Popular Disturbances in England, 1700-1870 (1979); A. Randall and A. Charlesworth (eds), Markets, Market Culture and Popular Protests in Eighteenth-Century Britain and Ireland (Liverpool, 1996); R.B. Shoemaker, The London Mob: Violence and Disorder in Eighteenth-Century England (2004); and J. Bohstedt, The Politics of Provision: Food Riots, Moral Economy and Market Transition in England, c.1550-1850 (Aldershot, 2010). 4 J. Gay, The Beggar’s Opera (1728), Act 1, sc. 10. 5 A.L. Erickson, Women and Property in Early Modern England (1993). 6 N. Phillips, Women in Business, 1700-1850 (Woodbridge, 2006). 7 E.O. Hellerstein, L.P. Hume and K.M. Offen (eds), Victorian Women: A Documentary Account of Women’s Lives in Nineteenth-Century England, France, and the United States (Stanford, Calif., 1981), Part 2, section 33, pp. 161-6: ‘“My Wife and I are One, and I am He”: The Laws and Rituals of Marriage’. 8 M.L. Shanley, Feminism, Marriage, and Law in Victorian England, 1850-95 (Princeton, 1989); A. Chernock, Men and the Making of Modern British Feminism (Stanford, Calif., 2010). 9 That’s why it’s good that these days freelance websites regularly highlight inaccuracies, omissions and inventions in historical films, before new factoids gain currency. 10 For opposition to the tyranny of facts, see Dickens’s critique of Mr Gradgrind in Hard Times (1854); L. Hudson, The Cult of the Fact (1972). With thanks to Tom Barney for a good conversation on this theme at the recent West London Local History Conference.